It is now expected to be released in March or April 2017. The much-talked series is on a break as the writer and series creator Yoshihiro Togashi is suffering from health issues for a quite long time now. Taking in new writers would be a risky job as they can’t replicate Togashi’s ideas with ease. It is now being reported that doctors have prescribed Togashi to take a complete bed rest. He has been suffering from lower back medical issues for a quite long time now. It all states that his condition is too severe to take the risk. This is not the first time when the series is put on a hiatus. Earlier, it was in 2013 when the series was put on hold. It was also done to give Togashi time to improve his health. It also took almost two years when the next chapter was revealed. The publisher of this manga series Shueisha told the following. Once, the management tried to hire new writers and Togashi had to act as their consultant. It was all planned to deliver the series before the deadline, but unfortunately, things didn’t turn out well. The ideas which the new team of writers gave was nowhere in front of Togashi’s genius ideas. Togashi wasn’t satisfied with them. That is the reason, why the manga is put on hold until he gets well to work. This will also not break the entertainment value which the series has been giving. The new reports have stated that HxH C361 will proceed right from where it was left off, i.e., Kurapika’s investigation on what is really going on inside the Black Whale. Many have been killed, and Kurapika suspects that the Nen beasts are behind all this stuff. In the last chapter, one of the guards assigned to protect and keep the Woble family safe started to act weirdly. The suspicion of Kurapika turned out to be true when she found that a Nen beast was controlling him. That beast killed two guards and then looked forward to killing Kurapika too. 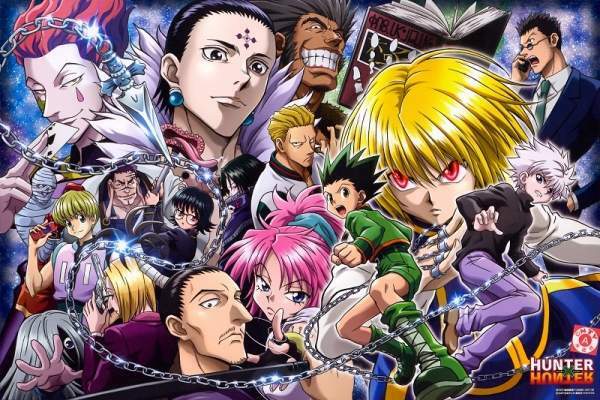 Hunter X Hunter Chapter 361 Release Date, Spoilers & News: Manga Launch This Month As Togashi Gets A Deadline?